Thabisa Mjo the founder of Mash T. Design Studio in Johannesburg was a winner of the Nandos Young Hot Designer in 2016, wowing the judges with her show-stopping Tutu 2.0 pendant light, inspired by the Xibelani skirt worn by Tsonga women. Thabisa’s work is a mix of modern design and a celebration of culture referenced in the shapes, patterns, and textures she uses. Winning the competition gave her the confidence to go out and enter more and also showcase her work locally and internationally. She speaks to us about her journey in building a successful design studio. 1. Please introduce yourself, and tell us a bit about your background, where you are based, and what led you to a career in interior and product design? 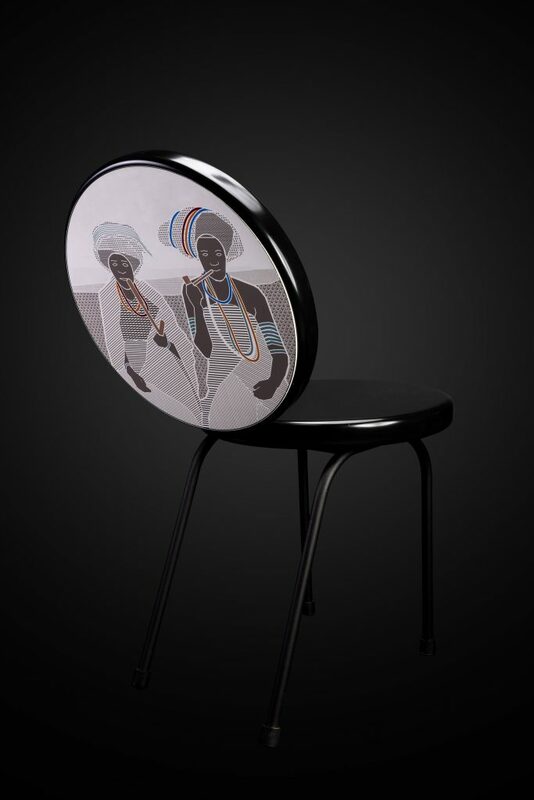 My name is Thabisa Mjo, a product and furniture designer based in Johannesburg, South Africa. I started my business in 2013 and originally it was meant to just be interior design. I studied Production Design in university and as much as I loved creating imaginary worlds for television sets, I wanted to translate those into the real world. 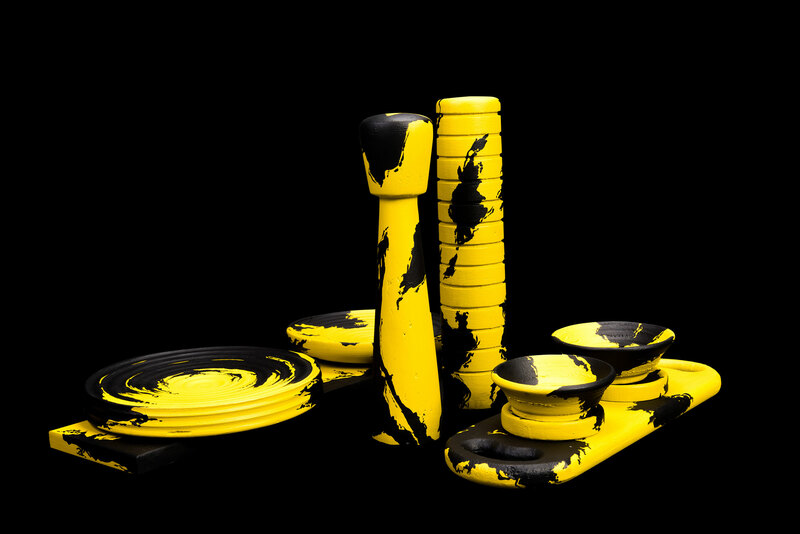 Product design really came as a surprise to me; I entered the Nandos young designer competition. 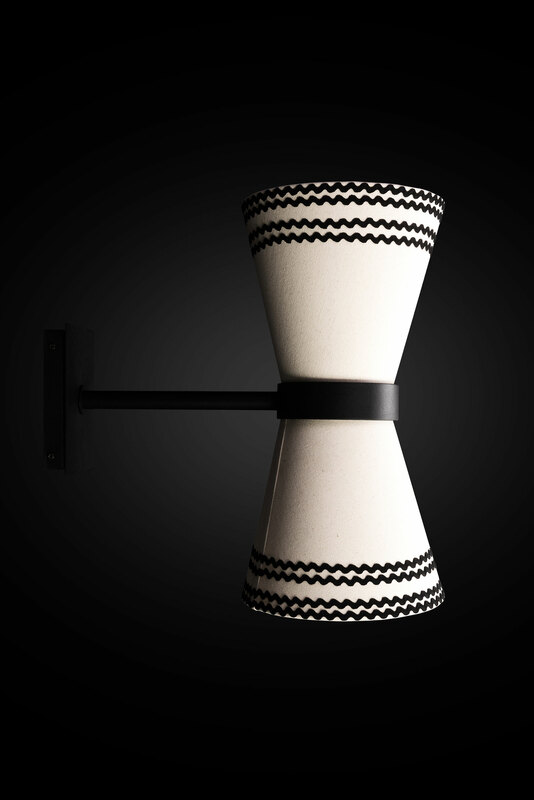 The brief was to design a pendant light. I had never designed a product before, but I decided to take the chance. I did it, I won and the best thing to have come out of that experience was discovering this gift that I didn’t know I had. So cool! 2. What prompted you to start your own business as opposed to working for someone else? And what have been the challenges and rewards that have come with following your chosen path? I have always enjoyed business. I started my first business at 19 with a friend of mine. It never really took off, but the bug had bitten. Creating and sustaining a market for your products. If you’re not making sales, are you really in business? The reward is customer satisfaction. I don’t design for myself, I design to meet a need and when clients get joy or amusement or have their needs met by my products, there’s no better feeling in the world. 3. What is the one thing you wish you knew when you started out? You don’t know as much as you think you know. It’s okay to ask questions. Research and research, don’t take anything for granted. Be clear on who your target market is, figure out where they are and how best to communicate with them. I know you asked for one thing, but I’m not good at following instructions – haa haa! 4. What are the key influences behind your work? I notice that a number of your product designs reference your African heritage, how important do you think culture is to design? Story-telling. I enjoy telling stories and the medium I use is design. For me it’s really about representation, I think it’s important for people to see themselves represented in the world around them. I think the reason my work also resonates with people who aren’t African is that the themes in my work, in my stories, are universal; friends and family, nostalgic memories about growing up and so forth. 5. You were a co-winner of the Nandos Hot Young Designer Award, 2015 and have been a finalist for the Homewood Emerging Designer Competition. What impact has taking part in competitions had on you and your business and what advice would you give to readers thinking of doing the same? Taking part in design competitions really is what has helped my business grow the most. On a personal level, the impact of entering design competitions has been a major boost to my confidence. I encourage everyone to enter as many design competitions as you can. Go for it. It can change your life. 6. You have showcased your work at tradeshows locally in South Africa and now internationally with your presence at 100% Design London. How important are tradeshows to the growth of your business and what are the biggest lessons you have learned from showcasing your designs to the trade and buyers? Trade shows are important because of the sheer number of people who visit these shows. You get your name and work exposed to literally hundreds of people over a few days, something you wouldn’t necessarily achieve within a few days. The biggest lesson is that it’s still a sales exercise. It’s not enough to just exhibit your products, you have to interact with the visitors and really try sell them on your products and why they should choose your work versus the thousands of other products on show. 7. 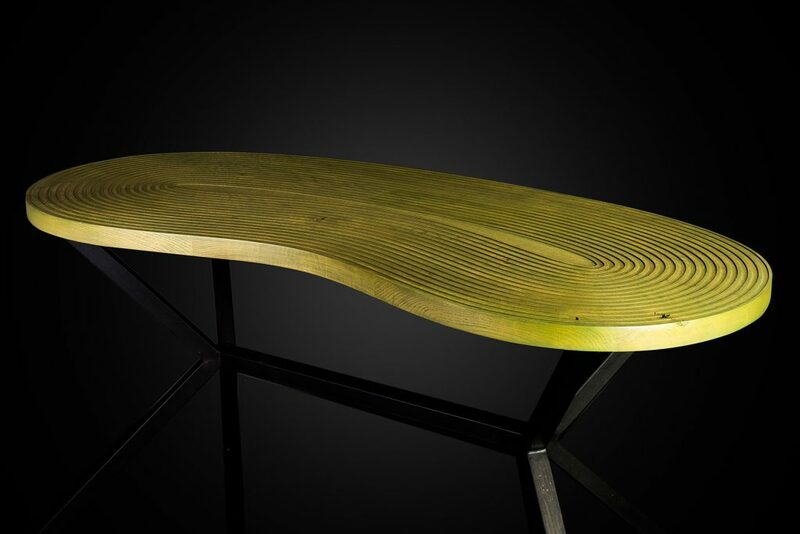 What piece of advice would you give to someone looking to carve out a career in interior and furniture design? Enter design competitions to gain brand legitimacy and name recognition. As much as you can, use your Instagram page as your portfolio, for example, put up mood boards on there or renderings, just so people can get a feel of what you’re about and what you’re capable of doing. Figure out what your value proposition is, in other words, what sets your design aesthetic apart from everyone else’s. Figure out who you want to service and the best way of reaching them. Collaboration is key, so work with other up and coming designers. Network across rather than trying to network up. So, look around you, see who else is trying to do what you’re trying to do, work together. You need to have grit. Things will get tough, so you need to persevere through that. Grit. Pivot where necessary, be flexible. What a beautiful interview, Thabi. A very big Congratulation., well done.